Hi everyone! This is GiGi from The Cricut Bug and I have a project to share. 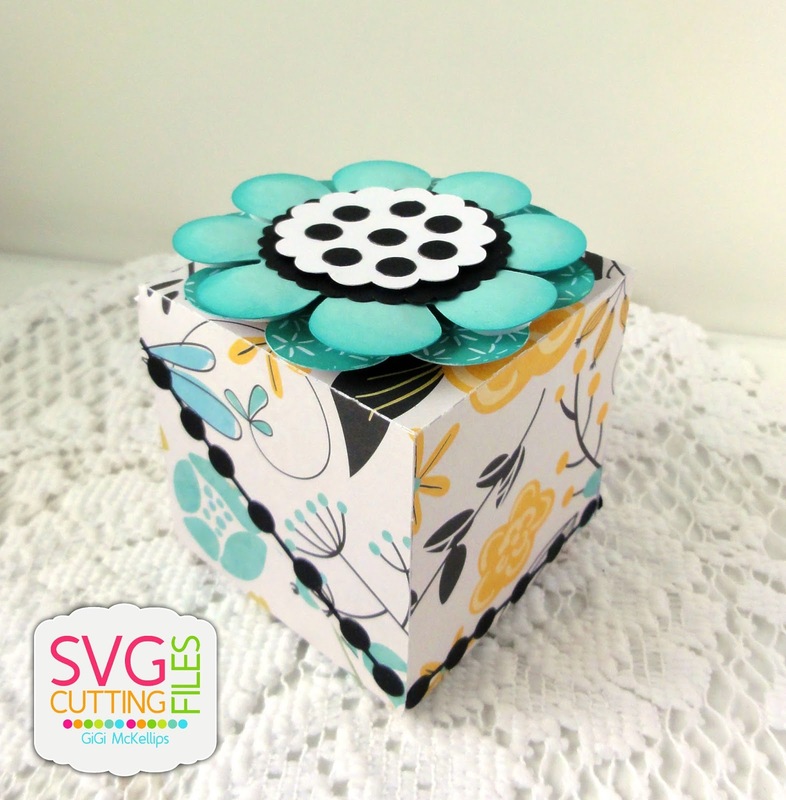 I used the NEW Diagonal Fold Box With Insert that will be available in the store today. This new box is so awesome! I love the way it opens and the accent box that fits inside. This would be a great box for the extra special little gift. 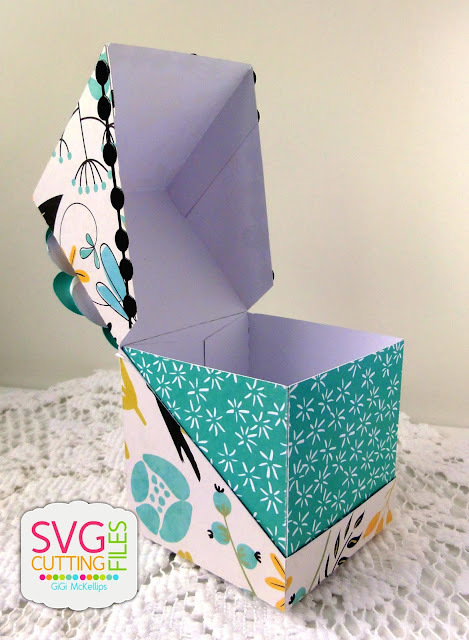 I cut out all the pieces from the Diagonal Fold Box With Insert using my Cameo and assembled it. 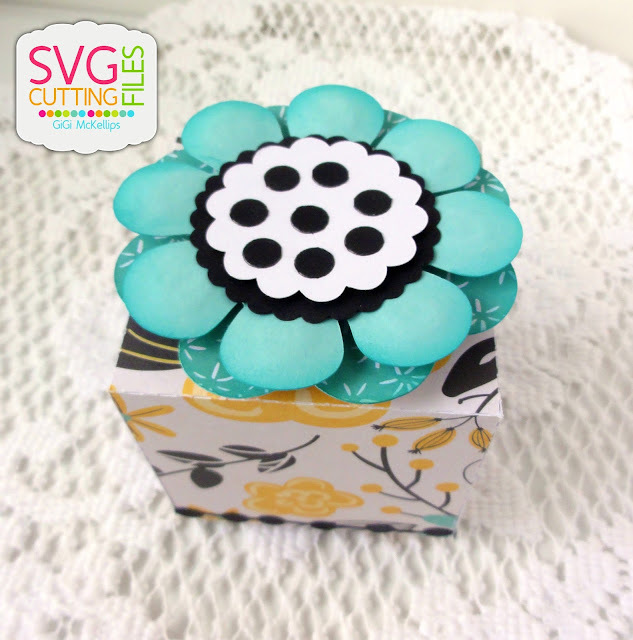 I added the flower to the top cut with the Layered Flower file, using lots of pop dots for extra dimension. 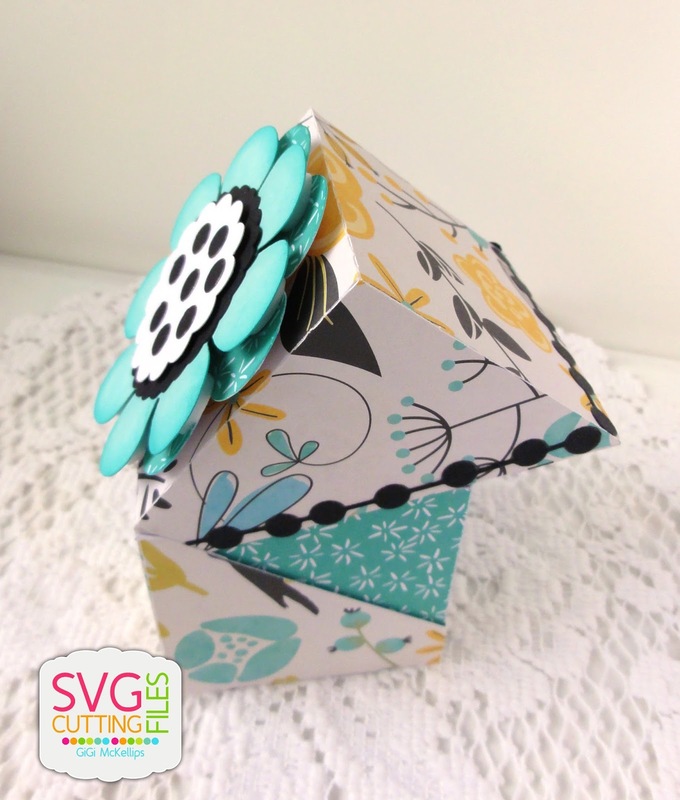 To finish, I added the decorative edge pieces that I cut with the Jaded Blossom Banner Dies.